“Partner of the Year Award”, Mike Russell, Managing Principal, Newport Beach, CA, for achievement as the firm’s top partner. Mr. Russell joined Mohr Partners over 10 years ago. He has worked in commercial real estate since 1980 and his real estate experience includes strategic portfolio management, brokerage, development, property management and investment sales. His team has been responsible for the management of dozens of corporate portfolios in excess of 3,000 leases and has structured strategic plans and customized real estate processes for their portfolio clients creating tangible savings of hundreds of millions of dollars. “Broker of the Year Award”, Mark Bennett, Managing Director, Newport Beach, CA, and Randy Tarnow, Detroit, MI, as Mohr Partners top producing brokers of the year. 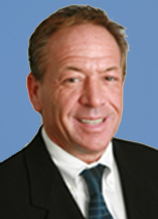 Mr. Bennett brings over 29 years of experience in the office, industrial and medical property sectors. His focus is in the corporate representation arena. Prior to joining Mohr Partners, Mr. Bennett was a Managing Principal at ORION. Mr. Tarnow brings over 20 years of commercial real estate experience with a concentration in tenant advocacy, portfolio assessment, and strategic facility planning. Before joining Mohr Partners, Mr. Tarnow served as a principal with Friedman Real Estate Group and an executive managing director in Newmark Knight Frank’s Detroit office.